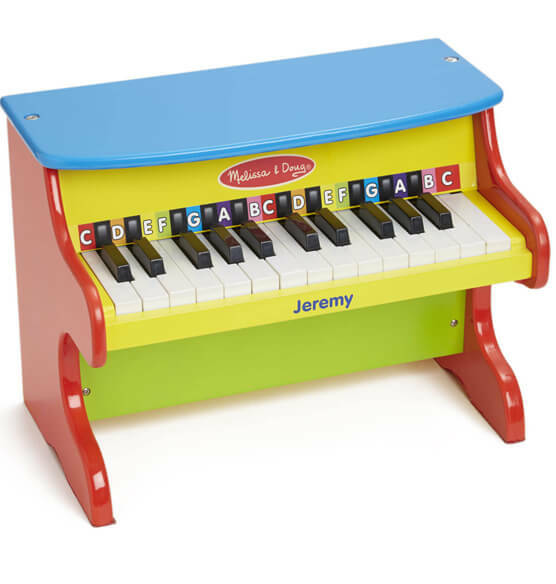 This colorful Melissa & Doug® Personalized Upright Piano features 25 keys and two full octaves. The littlest musicians will enjoy exploring concepts of high and low notes, and loud and soft. 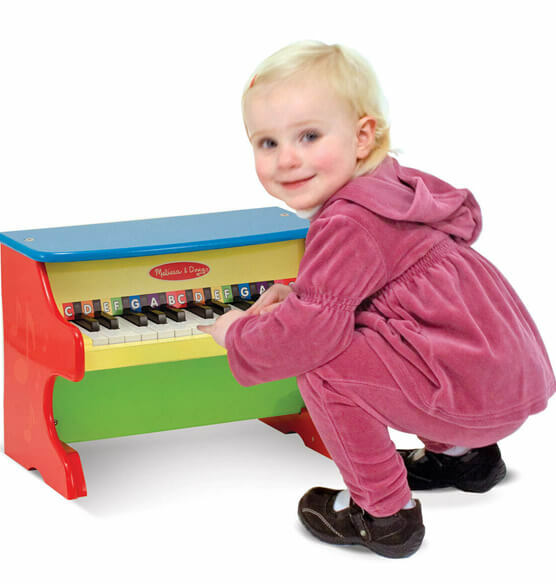 More experienced "maestros" can follow the toy piano's included color-coded songbook to learn nine child-friendly favorites! Express shipping not available. Please allow 2-3 weeks for delivery.